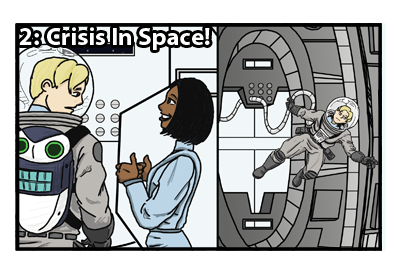 Storyline: 2: Crisis In Space! A ship malfunction sends our heroes into action. Looks like a rock hit it.